Standard - $17.99 Only 2 left! Occasionally, you hear that the role of a princess is going to be especially similar from one kingdom to the next, from one royal lass and on down the line. But, not all princesses are into fancy gowns and finding a charming prince. In fact, many of them would rather go on adventures and get into trouble, than live in a castle. Princesses like Merida didn't let anyone else tell them what to do. If they wanted to spend their time riding horses and practicing archery, they were gonna do it! Speaking of archery… that’s a pretty useful skill for your little princess to have, especially if she's thinking about going on an adventure of her own. Of course, how can any princess become especially proficient in archery without the right set of tools? They may want to get some practice in with this toy Brave Bow and Arrow. 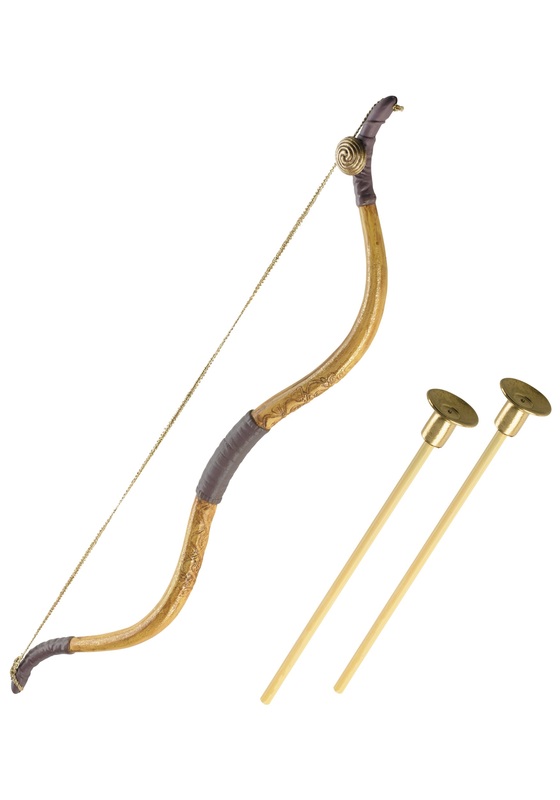 Whether they are traveling around the mystical Scottish Highlands, or hanging out a little closer to home, this bow and suction cup-tipped arrow set is a great accessory to take on their journey. It'll come in handy more often than a fancy ball gown!